Some of his listeners apparently got the message. 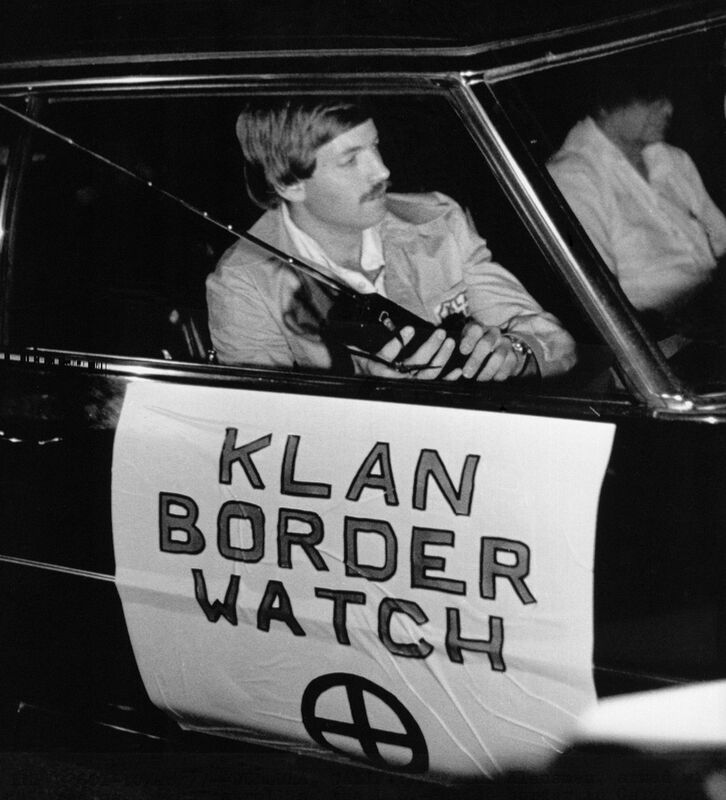 Soon after, members of the Ku Klux Klan and droves of younger, more internet-savvy white nationalists arrived with guns, clubs and Plexiglas shields. Fights broke out, and men and women were attacked with blunt objects. 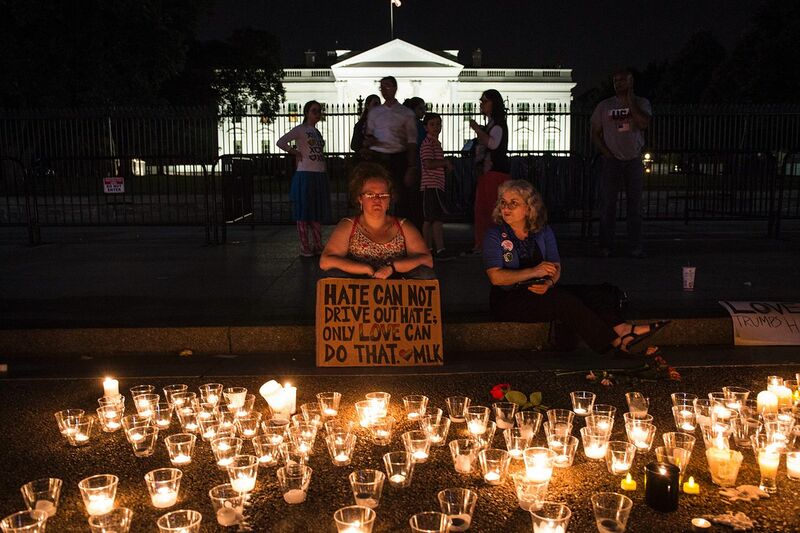 A 20-year-old man who had marched with a neo-Nazi group drove his car into a crowd of counterprotesters, injuring 19 people and killing 32-year-old Heather Heyer. (The driver is charged with first-degree murder.) The story became international news. Before Charlottesville, few outside the dark corners of the internet had ever heard of Peinovich or his blog The Right Stuff, commonly referred to as TRS. 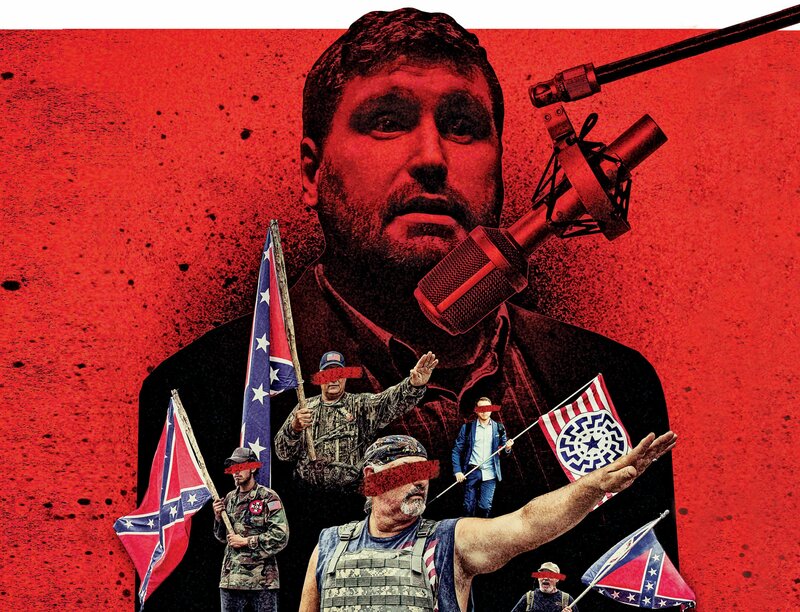 But, as tech companies like Twitter, PayPal and GoDaddy slowly attempt to purge their platforms of alt-right voices in the aftermath of the rally, Peinovich’s podcasting network has developed into arguably the loudest and most influential gathering place for white nationalists on the web. His website, TheRightStuff.biz, now hosts more than two dozen podcasts and draws close to 1.5 million views per month. Until recently, a separate fan forum had nearly 10,000 registered users and, according to the Southern Poverty Law Center, appears to be spawning new hate groups. One organization, True Cascadia, operates throughout the Pacific Northwest and has recently drawn headlines for pasting neo-Nazi flyers in local towns. Researchers who study the far-right say it’s become difficult to keep up with Peinovich’s massive output of white nationalist propaganda. Some alt-right leaders see his network as a kind of last refuge for a political movement on the run. While his peers at the neo-Nazi website Daily Stormer have been reduced to arranging secretive cash transactions or asking fans for cryptocurrency donations, Peinovich is still able to raise money using the payment processing company Stripe. 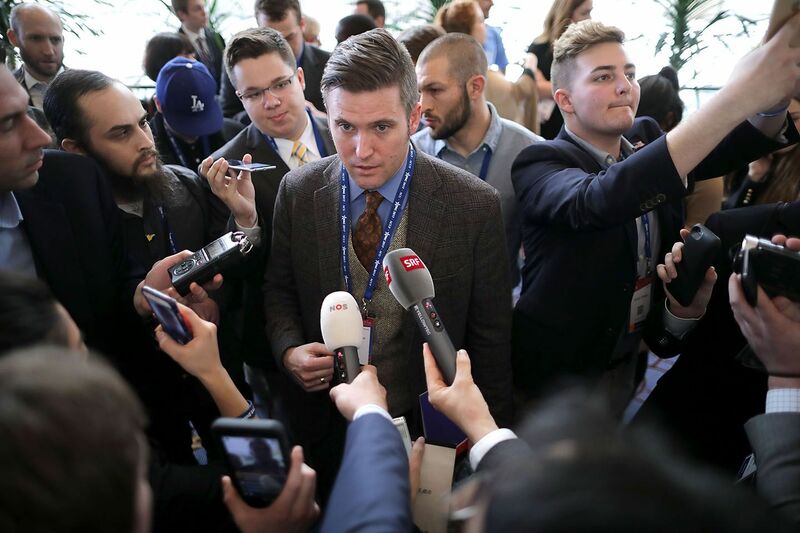 Critics, however, argue that the podcaster is using his website and his voice to hawk a violent ideology: A coalition of students, clergy and Charlottesville residents are suing Peinovich and a handful of other white nationalists—including regular TRS guests Richard Spencer and Andrew Anglin of Daily Stormer—for allegedly using their platforms for “planning, promoting and carrying out” the attacks in Charlottesville last year. If successful, the lawsuit could potentially unmask anonymous Peinovich fans, expose secret funding sources and silence the alt-right’s largest microphone. For his part, Peinovich has repeatedly denied that he intended to provoke violence in Charlottesville—he blames counterprotesters for the clashes that weekend—and expressed regret to Newsweek that it happened. But he and the other defendants have dismissed the legal challenge as “lawfare” designed to dismantle the alt-right. Their speech, they argue, is protected under the First Amendment. Peinovich’s rise was relatively quick. Broadcasting under the name Mike Enoch (a reference to a far-right British politician who staunchly opposed immigration), the former tech worker posted the first episode of his flagship show, The Daily Shoah, in 2014. The name is a pun mocking the genocide of Jews during World War II. Other shows were quickly added—all of them focusing on building a separate country for white, non-Jewish people and reveling in irony and inside jokes. They have names like The Poz Button, a term mocking people diagnosed with HIV/AIDS, and This Week in White Genocide, which refers to the belief that white people are being slowly eradicated through race-mixing. Another show, Third Rail, which is hosted by anonymous performers who call themselves Spectre and Lauritz von Guildhausen, urged their listeners to call the police on black people and file baseless claims that they had stolen something or possessed weapons. The biggest draw, however, was Peinovich himself, a thick and burly carnival barker adept at channeling his extremist point of view through comedy. His humor is frequently racist and personal. (He has referred to Heyer, the fallen Charlottesville activist, as “the fat chick that died.”) He also creates new slurs and lists grievances that get repeated in alt-right circles for months after he speaks. He claims to have invented the omnipresent “echoes” meme, in which Jewish people’s names are written with three sets of parentheses around them to single them out for derision by anti-Semites. Peinovich fans also got together in real life at “pool parties.” Researchers of the far right say these private meet-ups of TRS listeners represented the next step in the evolution of the alt-right movement, as it stepped out of obscure chat rooms and into spaces like Charlottesville. Without a shield of anonymity, Peinovich’s commitment to the white nationalist cause seemed only to sharpen, and he began making public appearances with more extreme figures, like the neo-Nazis of National Socialist Movement and the now-defunct Traditionalist Worker Party. He also ramped up TRS’s content and invested more time in its growth. Those efforts are now jeopardized by the Charlottesville coalition’s lawsuit, which could potentially force Peinovich to reveal the identities of his anonymous fans. 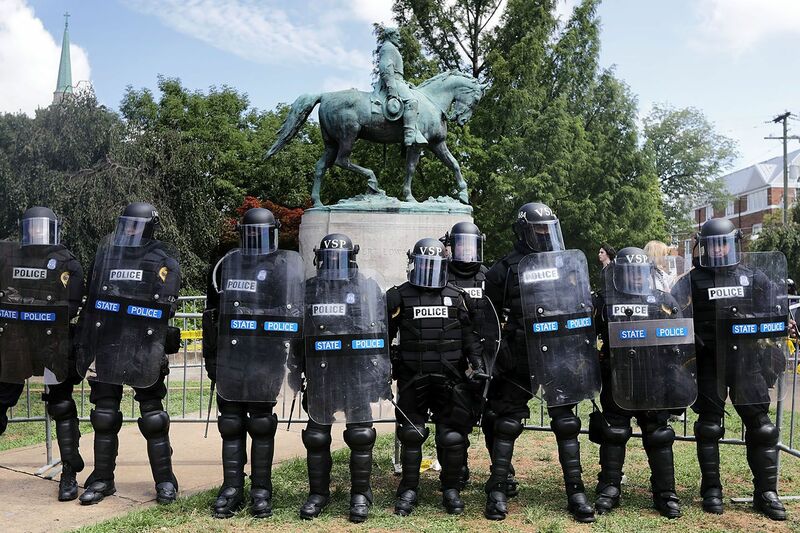 Roberta Kaplan, the attorney leading the suit, tells Newsweek that he should be expected to produce only information about his fans that is relevant to the case at hand, concerning whether they conspired to commit acts of violence in Charlottesville last summer. But even the mere prospect of being exposed has created a panic: Many fans fear losing their jobs and being isolated from their communities. Peinovich, who is representing himself in the case, has argued that he has a right to protect the privacy of unnamed individuals that contribute to his site. In court documents, he said that “his ‘reputation and ability to earn a living’ will be ‘irreparably damage[d]’ if those visitors ‘no longer feel they can browse’ the website’s ‘politically controversial’ content without fear that their ‘personally identifiable information’ will be disclosed in litigation.” The judge shot these attempts down in April. “You don’t know what you’re talking about,” Peinovich responded. As the legal battle continued, the TRS forum and its thousands of posts abruptly disappeared from the internet. Peinovich denied to Newsweek that he was responsible for apparently deleting its history, and he blamed collaborators instead. 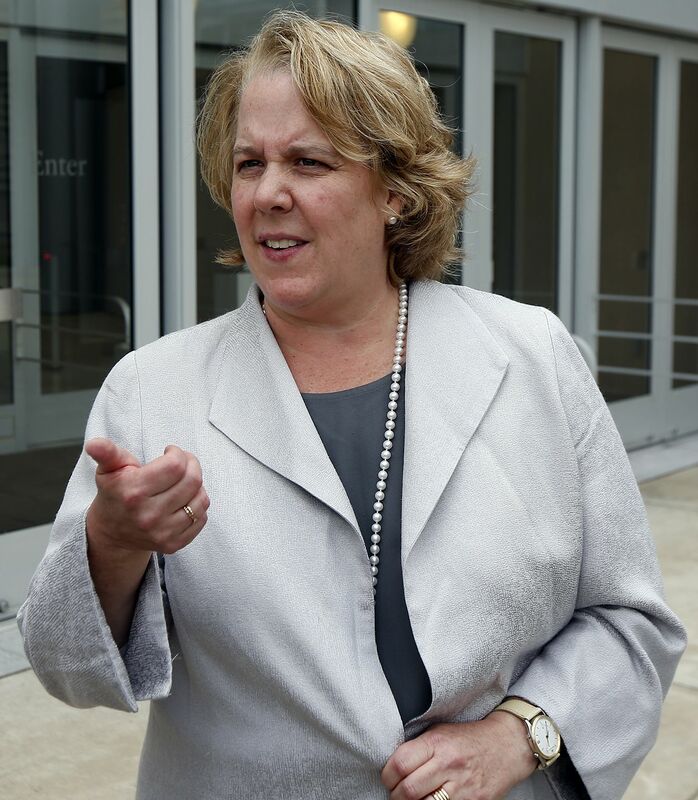 Kaplan, whose arguments during the 2013 Supreme Court case of United States v. Windsor paved the way for the legalization of gay marriage, says Peinovich has struck a more deferential tone with her and others in the presence of the judge, perhaps indicating that he understands the threat the lawsuit represents to his podcast business. She provided Newsweek with a transcript of a court hearing as an example. At one point, Peinovich reminded the judge that he was representing himself, without much legal muscle. “I’m kind of up against a lot of stuff here,” he said.